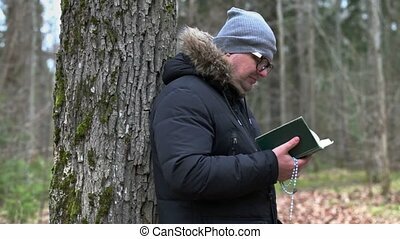 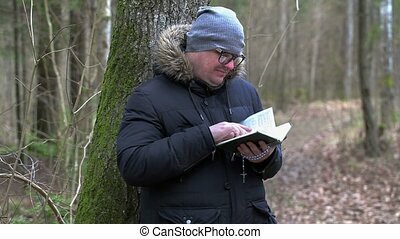 Man reading bible. 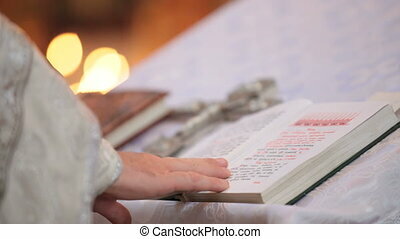 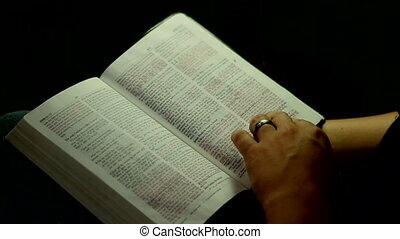 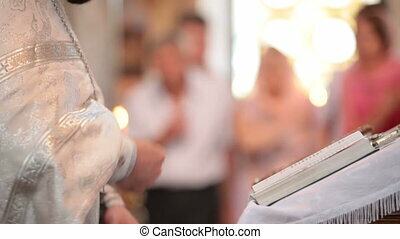 Close up of man's hands and arms as he holds a bible and move his finger along as he reads. 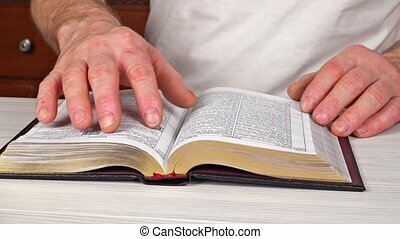 Close up of man's hands and arms as he holds a bible and move his finger along as he reads. 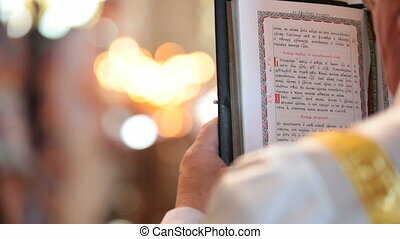 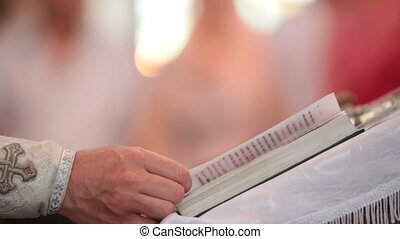 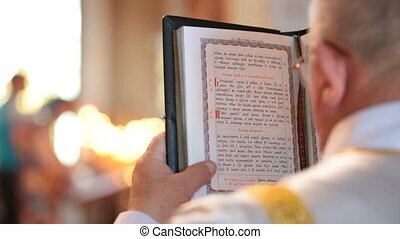 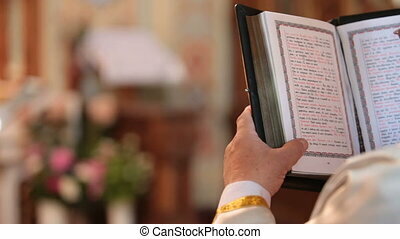 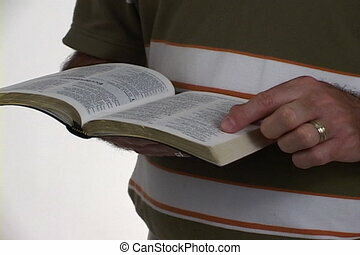 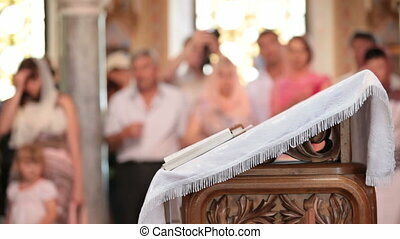 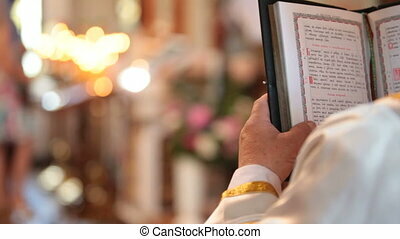 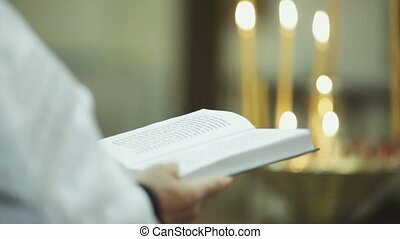 Man holds an open bible and reads by sliding his finger along the text. 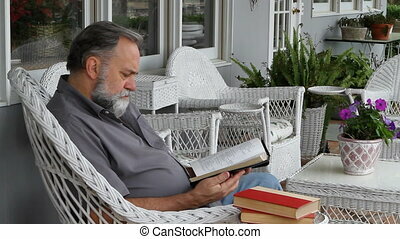 Mature man sits in a white wicker chair on a porch and reads his Holy Bible. 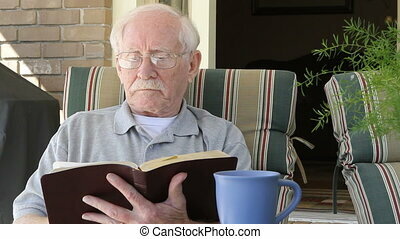 Elderly man sits on his patio and reads the bible. 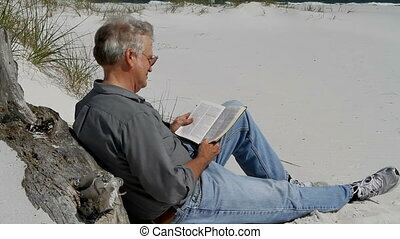 Mature man sits leaning against a large piece of driftwood at the beach and reads his bible. 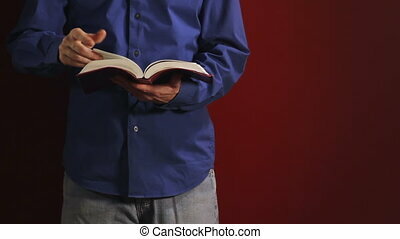 Man reading bible with only hands and bible showing. 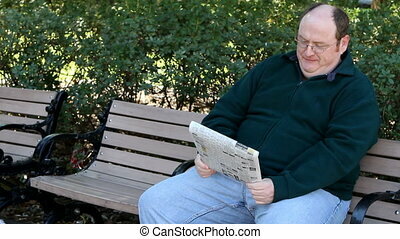 Overweight man sits on a park bench reading the newspaper. 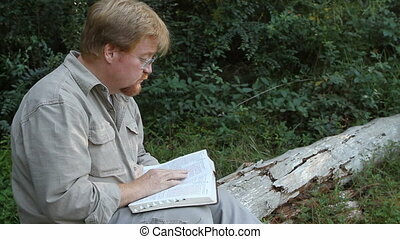 Man sits outside on a log to read and study his bible. 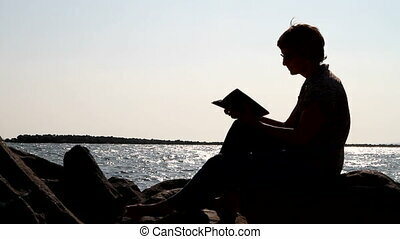 Silhouette of woman sitting on a rock studying the bible by a body of water. 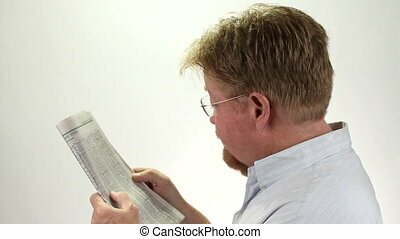 Mature man reads and check his stock portfolio in the newspaper listing of the stock market report. 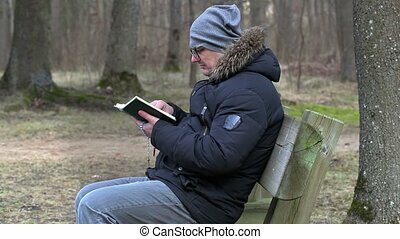 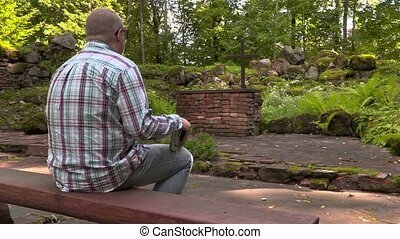 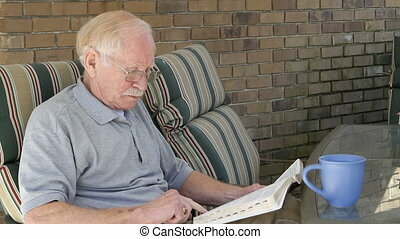 Elderly man sits in an outdoor chair and reads his bible. 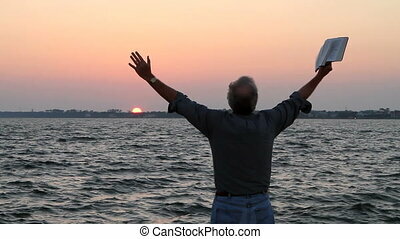 Man holds his arms up with a bible in hand as he prays in front of a body of water at sunset. 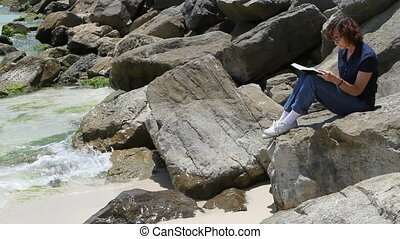 Mature woman studies her Holy Bible while sitting on a rock jetty at the seashore with waves hitting the beach. 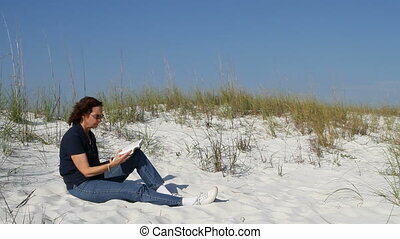 Woman reads and studies her bible on a sand dune at the beach. 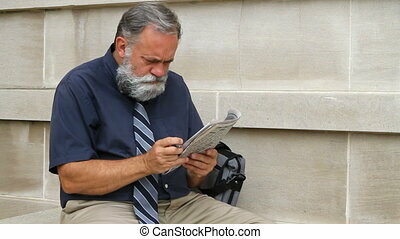 Man sitting by a wall scans the classified section of the newspaper looking for a job and then gets up to go apply for it. 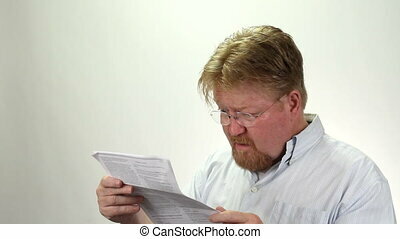 Man looking at his bills and debts is upset and frustrated by the amount he owes and reacts by throwing the statement in the air.